Bronze, Silver, Gold or a bespoke manufacturer's service schedule. Any additional work required we ALWAYS call you before carrying it out. At our MoT testing facility you can either leave your vehicle with us, or you are welcome to wait in our comfortable lounge area. Here, via a 3-camera CCTV viewing system shown on a widescreen TV, you can watch our technician undertake the MOT test; or you can relax and refresh yourself from our choice of FREE hot & cold drinks . When your air conditioning unit is struggling to perform in the next British heatwave just drive straight round to us and we'll be delighted to put a cool breeze back into your vehicle’s interior! Modern vehicles have an on-board computer system that records and oversees lots of functions on your car. 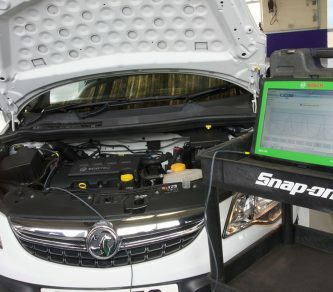 We have various electronic diagnostic tools that enable us to diagnose faults and optimise the vehicle's efficiency. 1.6mm of tread may be legal but is it safe? Whilst the legal limit on tread depth is just 1.6mm you may be interested in some research undertaken by Continental Tyres at MIRA which shows why Europe, Our Police Forces & all drivers who value their lives, change their tyres at 3mm of tread! View the research at RoSPA for additional details. 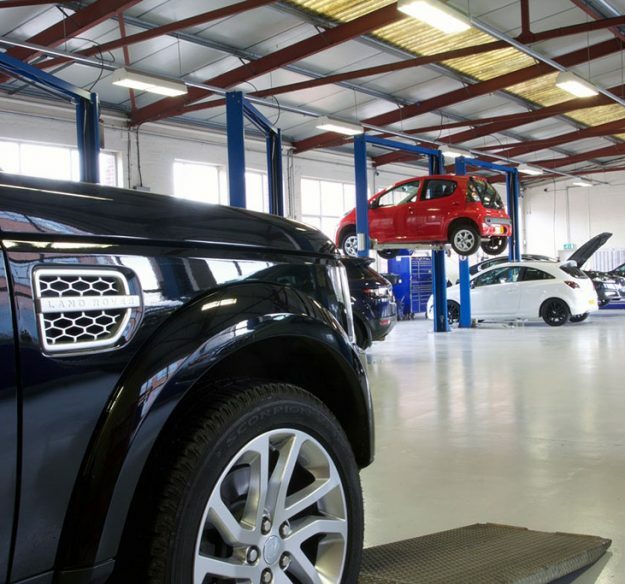 Whether it is an MOT, Service, Tyres, Clutch, Brakes, Exhaust, Air Conditioning or Diagnostic task we provide a service backed by BOSCH Car Service Centres expertise. 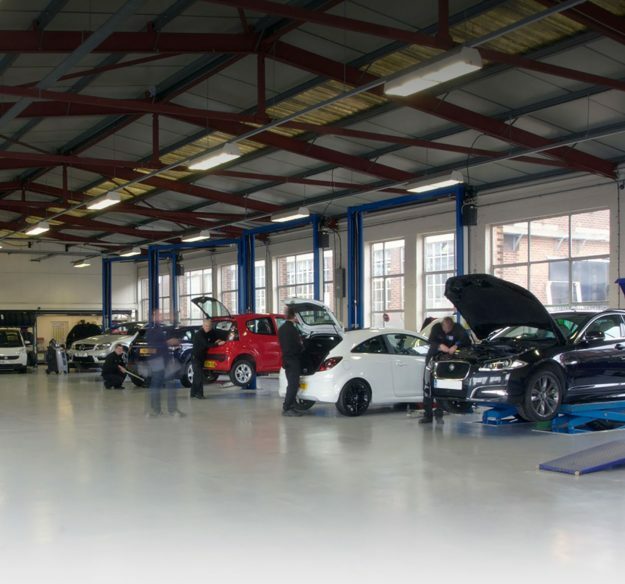 Whatever your car, Mercedes, Jaguar, BMW, Audi, Volkswagen, Vauxhall, Volvo, Seat, Kia, Hyundai, Mazda, Honda, Toyota, Alfa Romeo, Fiat, Mitsubishi, Ford, Suzuki or Chevrolet we can service and maintain it for you and keep you safe on the road. Our Customer Care is second to none, we aim for you to be so satisfied with our work that you will be with us long enough for your offspring to bring their vehicles to us as well! 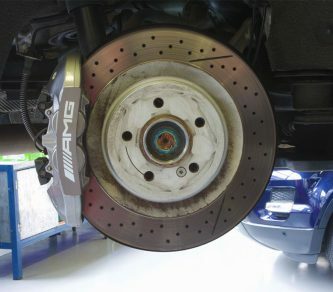 We maintain new car warranties by ensuring we use Genuine Manufacturer parts and then out of warranty we can use BOSCH or other high quality OEM parts which come with a 12 month warranty, unless you specifically want to maintain genuine parts. 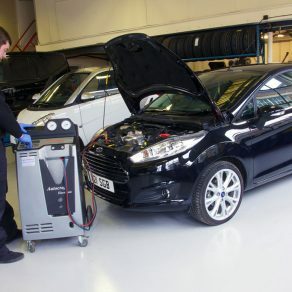 When we are servicing your car we are happy to either collect and deliver locally or provide a courtesy car for the day (all we expect is that you will replace the fuel you use, just as if it were your own car) and can usually accommodate a lift to the railway station for early morning starts. We are open from 07.30am till 5pm Monday to Friday and have a late night, 7pm, finish on Thursdays. For MOTs you can book to wait in our comfortable lounge and drink our tea or coffee while we do it, or drop it off on your way to work and collect it on your way back. If you have small children we have numerous toys and books which will keep both them and you entertained for the hour it takes! 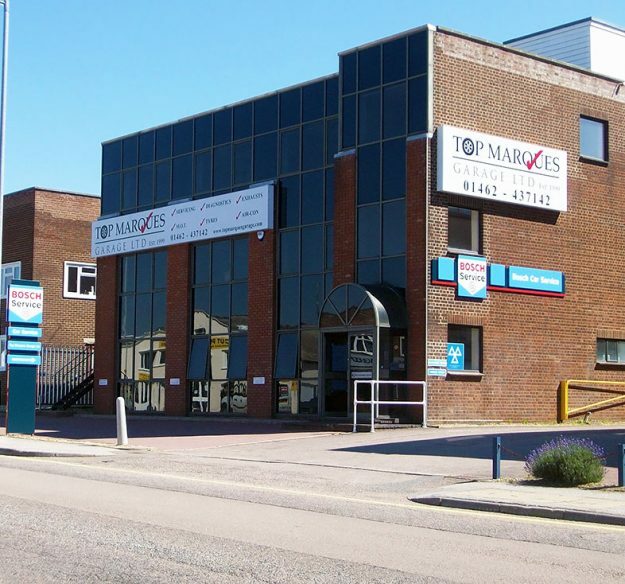 Top Marques have been the premier garage in Hitchin for nearly 20 years and we serve Hitchin, Letchworth, Stevenage and the surrounding villages in Hertfordshire.